Cici dreams of being a novelist. Her favorite subject: people, especially adults. She's been watching them and taking notes. 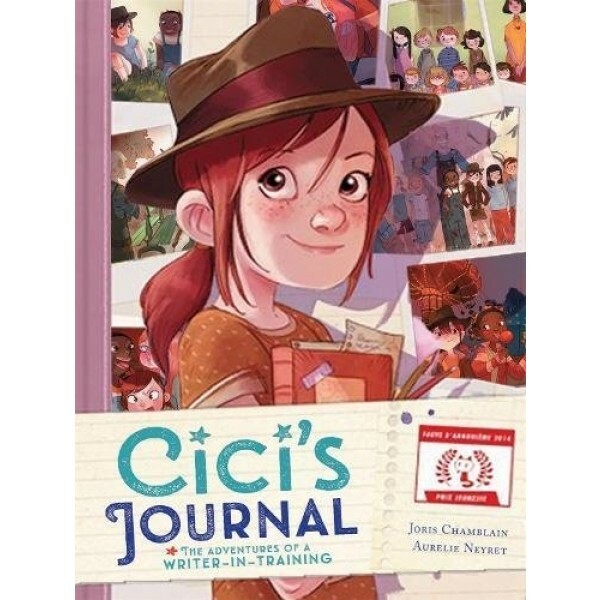 Everybody has one special secret, Cici figures, and if you want to write about people, you need to understand what's hiding inside them. But now she's discovered something truly strange: an old man who disappears into the forest every Sunday with huge pots of paint in all sorts of colors. What is he up to? Why does he look so sad when he comes back? 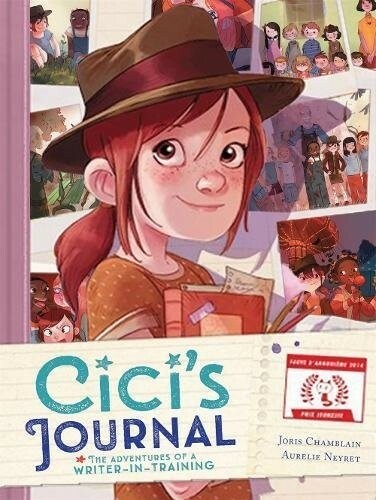 In a graphic novel interwoven with journal notes, scrapbook pieces, and doodles, Cici assembles clues about the odd and wonderful people she's uncovered, even as she struggles to understand the mundane: her family and friends.